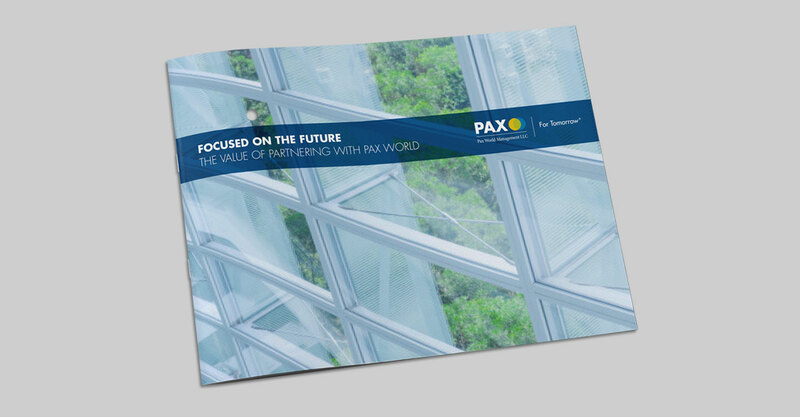 In 1971, Pax World introduced the financial industry’s first mutual fund to use social as well as financial criteria in its investment process. 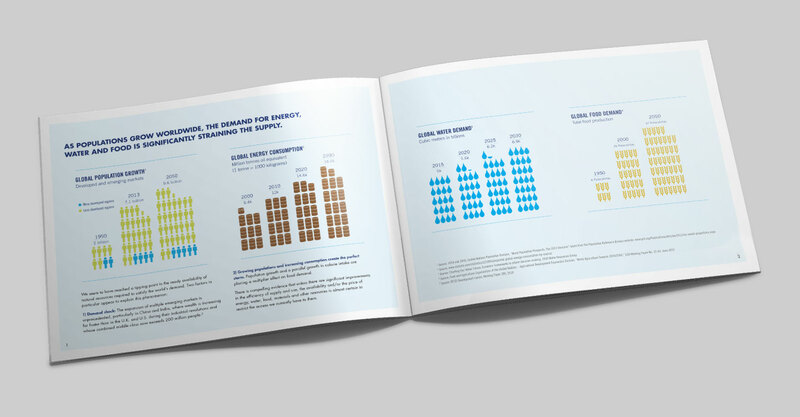 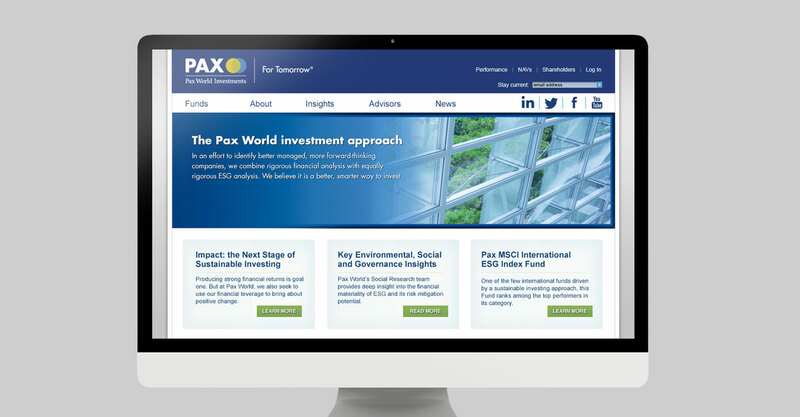 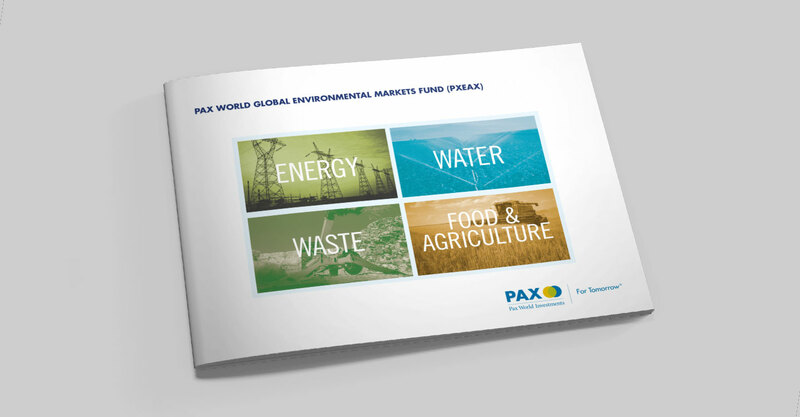 Over the course of a long association, 360 helped rebrand Pax as a leader in Sustainable Investing. 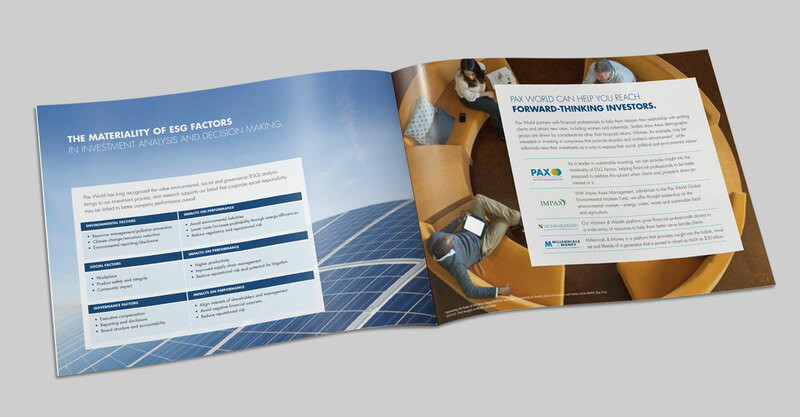 Beginning with a new logo and theme line, our creative work for Pax included website activity, advertising, social, collateral, white papers, CE-credit webinars and more.